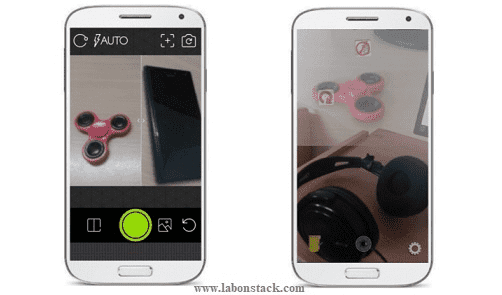 In this article, I have listed the best 4 split camera apps for Android user. Using these apps you can split the camera in two half so you can take pictures in them separately. After taking the picture, you can opt to blend it. Just take one picture in one split half and then take another in second split half. While taking a picture, you can either choose the rear camera or the front camera. After taking the picture, you can share it on apps like Whatsapp, Instagram, Facebook, Gmail, etc. And not only you can split the camera for taking the picture using this app, but you can also record videos in split mode as well. The split camera is an amazing feature for photography lovers. Some device has already this feature but still, there are a lot of devices which do not have this feature yet. You can take pictures in the same frame from two different positions and then save that. Want to really impress your Instagram followers? Here it lets you take the picture in vertical split view and horizontal split view. And you can even change the camera in both views separately. Split Lens enables you to produce easy and perfect incredible photo on your mobile. Use Split Lens 2 to produce interesting photos like Cloning Yourself, Swaps all the faces in your photos, Make you float in the Air, Finger Fire, Face Bomb, Swapping Your Body Parts, make Your Own Ghost or Capture a series of photos to tell a story. The quality of the results of Split Lens overwhelms other app’s outcome. Join the newest social photo community. Frontback is actually a social community where you can post pictures by taking in two halves. Frontback photos are always full screen and let you capture multiple sides of the same story at once. Combine your front and back cameras, show more details in the second picture, make before/after shots, or make cool artistic posts. If you want to take the split picture with different cameras then you can easily do that. Do note that, by default, there is a removable watermark on photos. But you can turn it off from the app settings. Split Camera is a simple app to take the picture in split mode. They provide self-timer feature so it makes cloning easy and because of the blender, the shots don’t need to be perfectly aligned. You can simply use it to take the picture in the two half of the screen separately. And later you can merge the images if you wish to. Additionally, there are options to turn on the flashlight and after taking the pictures, you can directly post to Instagram as well. The most elegant app of split and clone camera in the android market. The ordinary photo is so boring. Now people want the special photo. In this app you can take incredible photos and illusion effects: easily clone yourself, swap body parts, blend different faces, etc. Here it lets you simply capture two pictures in the same frame in split mode. You can change the split area for the photos and even blend them to remove the dividing line between the photos. After taking the photos you can simply save it in your phone or you can post it to Facebook, Twitter, Instagram. In this app endless possibilities, waiting for you.